Strides for Africa continues its work with schools. During the 2017/2018 school year, Strides for Africa worked with three schools Middleton High School in Middleton, Wisconsin; William Floyd School District in Long Island, New York; and Duke University in North Carolina. The three schools each had their own approach to a unit on water. They learned about the rigors of the water gathering process in rural Africa, and read Linda Sue Park’s book “A Long Walk to Water”. The students then fundraised to help a school in need in rural Liberia. The school is named Fountain of Life. 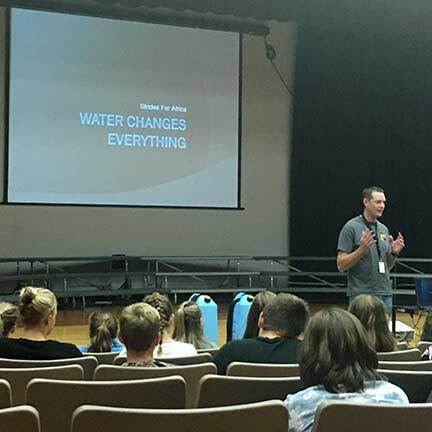 Strides for Africa’s founder, Chris Jimieson visited the school in January 2017 and learned about their needs for a clean water source. The process included questions from U.S. students that were responded to by Fountain of Life students. For the first time, students in Liberia asked their questions of the American students, and we shared responses back. Our goal is to Skype or video conference the students in the future, but first we need to overcome challenges of internet connectivity in Africa. We are hopeful this connection will become a reality in the 2018/2019 school year. 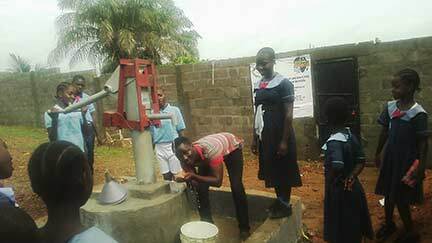 The U.S. students accomplished their goal and funded the well at this school. 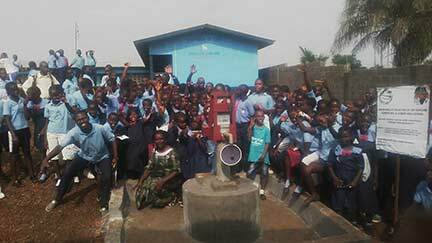 The well was recently completed –see photos below. To bring the Strides for Africa Global Students Program to your school, check out our Global Students Program page.